Newsletters | Dulles South Food Pantry, Inc. | Page 2 Newsletters – Page 2 – Dulles South Food Pantry, Inc. The Pantry is extending our reach to our most vulnerable neighbors in need, and you can help. 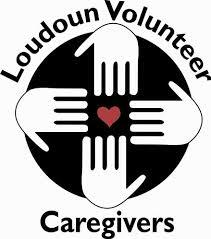 We are pleased to announce a new partnership with Loudoun Volunteer Caregivers. This important partnership will help homebound elderly, disabled, or chronically ill residents of Dulles South receive food assistance from the Pantry. 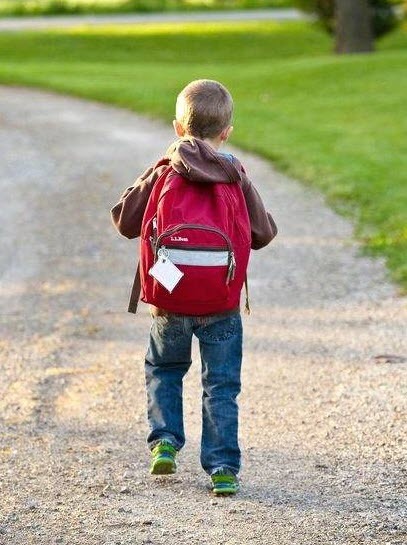 All services are provided for free to clients, coordinated by Loudoun Caregivers’ staff, and performed by volunteers. Read more about how you can help in the June Newsletter. On the morning of April 20, 2018, 104 golfers and numerous dedicated volunteers braved the cold to hit the greens at South Riding Golf Club, playing for fun prizes donated by generous sponsors, all with the important goal to help feed our hungry neighbors. As part of the tournament, our silent auction saw the sale of donated items, ranging from Redskins memorabilia and tickets to retail packages. The tournament raised over $25,000, which will help us continue our mission of “Neighbors Feeding Neighbors.” We are so grateful for the sponsors, donors, volunteers, and participants who supported and helped to make our 1st Annual Charity Golf Tournament a resounding success! and also win great prizes from our amazing sponsors and participate in our silent auction! You have a few days left to sign up for our first annual golf tournament at the South Riding Golf Club on Friday, April 20th. Hole-in-One – Win a 2018 Volvo! Hole-in-Two – Win a Golf trip to Pebble Beach! 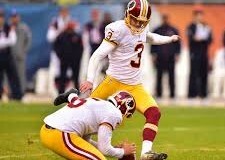 And, play golf with Washington Redskins kicker, Dustin Hopkins! We are so excited to share that the Pantry is hosting our 1st Annual Charity Golf Tournament on April 20, 2018 at the South Riding Golf Club! More than 100 golfers will have the chance to play for fun and prizes. Major sponsors will have the opportunity to promote products and services, while showcasing their commitment to the Pantry’s mission. Read move about it in our February Newsletter. A local school recently held a food drive and invited Pantry President, Charlene Jones, to speak to the children. While there, Ms. Jones discovered that one of the teachers was a former Pantry guest. The teacher shared that money is still tight, but her family is making it now without help. This teacher had organized the food drive, donated food herself, and expressed that she wants to start volunteering. Read more about the many examples of giving that encapsulates our mission of Neighbors Feeding Neighbors in the December Newsletter. A reality in our area is that some families rely on school programs for their children to receive a nutritious meal during the week. But, what happens when they are home on the weekend and do not have that access? 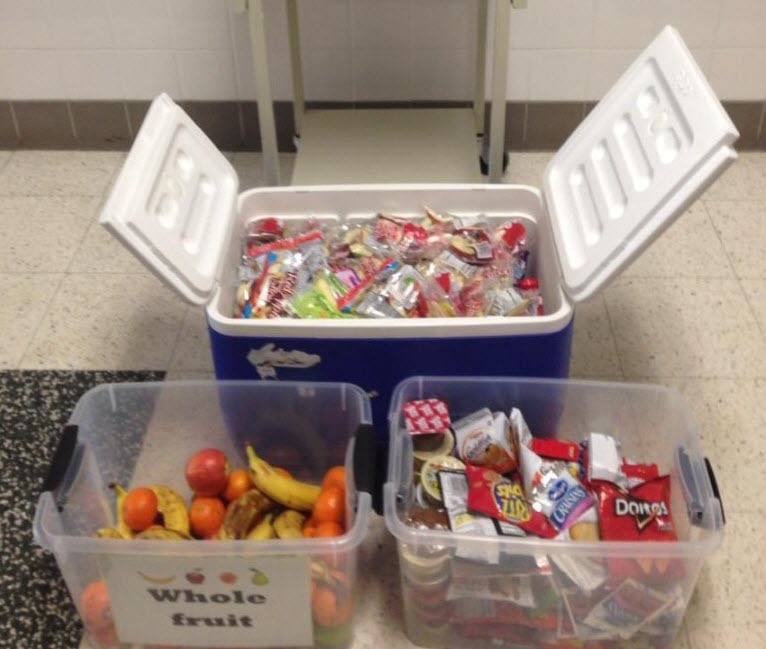 Read more about the Friday Food Pack Program in this month’s newsletter. If you’ve ever volunteered at your child’s school, you’ve surely seen the amount of food that is wasted during lunchtime. So much of what is purchased or sent with school children for lunch is thrown away unopened or uneaten. What if there was a way to save that valuable food for our neighbors in need? Read more about the Food Recovery Program in this month’s newsletter.